Wandering in the outerwear section for hours and still confused? Provided there are so many options to select from, it’s undoubtedly, one of the difficult tasks. An absolute knowledge of your needs is must to buy a product that deserves your investment. When it is about the price tag, remember you are paying for the technology, fabric, research and most importantly, for its performance. The best waterproof rainwear can cost you several hundred dollars; hence a little pre research before making any purchase is always wise. Every jacket available offers some sort of water resistance. A little knowledge about this technology and fabric can help you determine the degree of protection your jacket can offer. Though technology used in the fabric is one of the most crucial factors that determine the cost of the jacket, construction of the same is also an essential aspect. Construction of rain jackets does require seam taping and thus, a true waterproof rain jacket is one that has been seam taped entirely. Since all waterproof jackets are constructed using the same process, you don’t require to consider this feature separately in your buying decision. Don’t consider a jacket to be completely waterproof because of seam tape in shoulders and hood. However, this is a very common practice and is followed by most water resistant jacket brands. Do not assume a jack to be poor in quality simply because it lacks enough seam taping. A few water resistant and softshell jackets don’t use these because they aim to reduce complexities. Hoods are designed with adjustments and brims on its back and side so that you can easily adjust its opening according to your comfort. Jackets that don’t come with these simple features are mostly for casual uses. You can also find jackets that come with zippers so that you can roll and zip it off in your collar when not required. Rain jackets are often loaded with zippers, from pit zips, pockets to front opening. However, water can easily seep inside your jacket through these zippers. Thus, a storm flap or a specialized rubber coating is highly recommended to stop water from seeping in. This extra flap is also termed as laminated zippers but is also a little difficult to smoothly zip it up and down. Sometimes, zippers also require covers like zipper garage or zipper hut to secure the tiny openings at the end of the track. Pockets in a waterproof jacket must always come with waterproof zippers, but this can add a little more to your budget. Some jackets come with so many pockets that they tempt you to forget your backpack. However, simple ones are also available that comes with hand pockets perfectly placed above your hip belt and a little distant from the shoulder straps, such that you can easily access them while your backpack is still on. Today, jackets also come with cord ports inside your pocket, so that you can stay connected to your phone or music player. A few of these jackets also come with hidden pockets under seams and storm flaps to reduce the risk of theft and pickpocket. No matter how much breathable your jacket is, there are some strenuous activities that can make you jacket go overwhelmed. Thus, almost all rainwear comes with pit zips or underarm vents. Some even take a step ahead and include mesh liners adding more vents in the outfit. Apart from the adjustment above mentioned regarding the hood, waterproof jackets often include some other scope of adjustments too like drawcords right at the bottom hem. For longer jackets, this drawcord is mostly found in the waist. A technically perfect rainwear will also have a drawcord in the wrist to seal every scope of rain, cold and wind from sneaking inside. However, you can also loosen these adjustments to allow ventilation. A lightweight and non bulky fabric is appropriate or a rain jacket because it’s easy to carry and pack. Some jackets take a leap and design their pocket that can double itself and acts as a storage pack. Not really in the mood for shopping on your own? These top waterproof jackets are worth checking out if you are open to recommendation. Welcome rain and don’t hold back yourself from enjoying life’s muddy puddles with this Columbia Women’s Splash A Little Rain Jacket. Keep yourself dry even in the most extreme weather conditions. Whether you are on a mountain climbing expedition or just walking down the street with your pet, this jacket can promise you ultimate protection. This sleek and waterproof jacket features Omni Tech and 100% breathable and waterproof technology. Apart from this, it is also a little longer in length and includes full seam sealing ensuring completely dry and waterproof rainy season trips. The separately attached storm hood provides an extra coverage only when you need it. The adjustable cuff tabs are also brilliant to keep elements sealed away from your sleeves. For further protection, the company has also included zip handwarmer pockets, allowing convenient and safe storage option for small items. 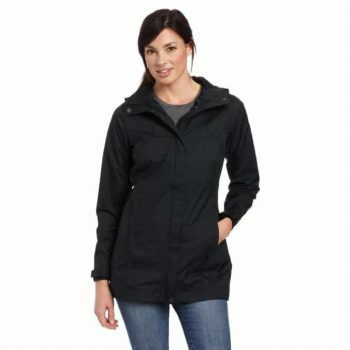 This rain jacket is absolutely for the women modern generation offering true comfort and style. Related: If you are looking for rain jackets, Columbia Women’s Switchback II Jacket is one of the products that you can always prefer. The jacket is water resistant and features a two zipper closure. It’s a waterproof jacket that can be used in all sorts of weather. You can simply machine wash it to on a regular basis. Given that the price is not too much, this is one great product. Are you searching for a jacket that will help you reach the summits of world’s highest mountains? Well then, your search has finally come to an end. 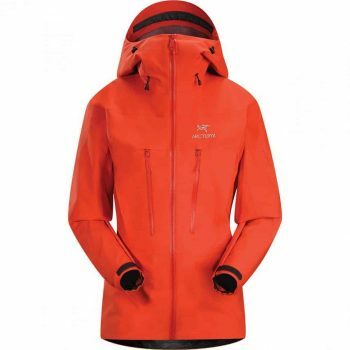 Check out the latest Arcteryx Alpha SV Jacket – one of our top picks for mountaineers and adventure lovers. Its N8opX face fabric and Gore Tex Pro membrane allows it to provide a premium class weather protection and is also capable of resisting extreme situations like storms. The jacket is loaded with exclusive features that are loved by both climbers and alpinists. The list includes removable harness hemlock system, harness compatibility and pockets specially designed with “across the chest access”. You can simply pull up the helmet compatible storm hood and clinch down the drawstring waist in order to stay dry inside. The fabric used in there is waterproof, so, even if it is raining in there, you don’t have to be worried about getting wet. Related: The other one option from the same brand is Arcteryx Beta SL Jacket which costs a little less than this and offers similar weather protection. It comes with a laminated chin guard and one hand adjustable drawcord that makes it easier for you to adjust the strings when you are on a trail. Hiking or backcountry skiing, this jacket definitely serves the purpose of most of the outdoor activities. 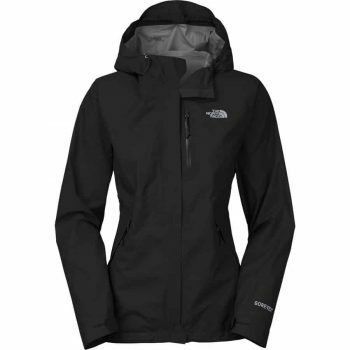 The North Face Resolve Women’s Rain Jacket can be considered in the list of the most comfortable jackets we have reviewed till date. It’s athletic and sleek cut offers great comfort and easy to move when your hood or helmet is on. The outer shell of the jackets looks very regular and can easily become a part of your everyday life. It’s a “jacket of all trade, but master of none”. This seam sealed rain jacket with weatherproof and breathable fabric that keeps you comfortable in almost every weather. Select from a number of colors, depending on your choice as most of the colors are upbeat. This is almost like an emergency poncho and can be a great choice if you would be using it while sitting and standing around. It won’t cost you much and can work pretty good for casual outdoor purposes. The resolve may not be something out of the box but is definitely a solid performer. It’s comfortable, tough and also a worthy product to invest upon. Related: The Nike Women’s Free RN Running Shoes is one of the products that you can buy with this product. Manufactured with synthetic and mesh technology, this running shoe helps you carry out your workout regimen without stopping. The shoes are breathable and come with single layer mesh that allows your feet to breathe properly. There is removable foam inside that you can add or remove depending on your choice. 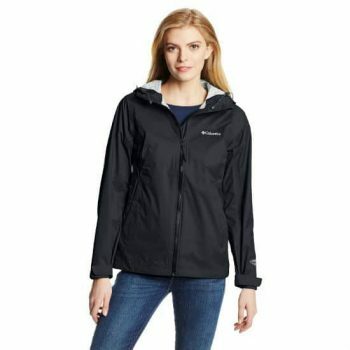 This Columbia Sportswear Women’s Evaporation Rain Jacket from Columbia Sportswear is an ultimate choice for buyers who are searching for a quality yet affordable rainwear. This rainwear is a highly practical, functional and no frill jacket available at a very reasonable price. It can keep you off from rain but has a slightly shorter torso and arm length. However, it won’t be much a problem for most body types. The underarm venting helps you keep the moisture away in the extreme weathers. It is an absolute rain jacket and doesn’t feel more like a wind jacket unlike most of the other products reviewed in this category. Apart from this, it is also a very comfortable jacket with a very traditional, noisy and stiff fabric. It’s one of the most simple yet high performance rain jacket in this range. Related: Columbia Women’s Fuller Ridge Vest also grabs the buyer’s attention with this product. 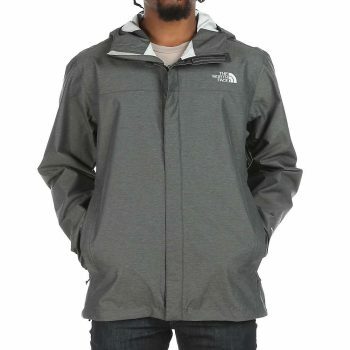 Made out of zippered hand pockets, this 26 inches length product is one product that you can always buy with this jacket. The technology used in this vest reflects the body heat and reduces your need of bulky layers. Made with moisture wicking power, this product is considered good for most of the weathers. The North Face Dryzzle Jacket is another equally versatile rainwear that features Gore Tex Paclite for extreme weather resistance. We loved the jacket mostly because of its fabric, which is extraordinarily lightweight, long lasting, breathable and also water and wind resistant. Almost all the feature of this jack was cool and impressive, but the functionality of its hood was remarkable. 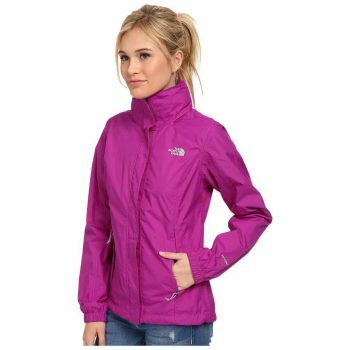 It is an excellent multi purpose jacket that can be used for casual as well as hiking purposes. It is durable enough because the company has used 50D face fabric, which is a little thick than most other rain jackets available in the market. Even though, it’s a little pricier, the perk it gives to its buyer is quite worthy. You can simply go for the product without any hesitation. Related: Marmot Men’s Precip Jacket is one such product that gains attention of the buyers of this product. It comes with attached hoods and rolls into the color that is needed when you want to stay protected in tough weathers. On such a fair price, this is a product that most of the buyers swear by. Go for it without any second thought. The North Face Men’s Venture Jacket might not be a great recommendation for climbers and trekkers but is definitely an ultimate choice for someone who will be using it occasionally for rain soaked activities. It’s a quality product in terms of price and features. It is waterproof and fairly versatile with almost every necessary feature that one would look in a quality rainwear. The Venture is a strong competitor if you are comparing it with random jackets that you can wear around during rainy season. However, the fit isn’t great to receive any compliments. The jacket also allows you to pack it inside one of its pockets. It’s a great deal for customers who are conscious about their budget. The two large hand pockets allow you to store your belongings and offer additional ventilation. It also comes with a loop, which can be used to hang it along with your backpack. This jacket may fail to satisfy hikers and mountain climbers but is a great option for regular purposes during the wet and rainy season. Related: You can also buy the Columbia Men’s Watertight II Rain Jacket with this product. It comes with a drawstring hood and hemline that helps you keep the hood intact on a position. The pockets on the hip are zipped so as to keep the wind and water away. Hope you won’t waste your time any more by wandering in the outerwear section and get confused and lost in the myriad of nylons and polyesters. A little research and knowledge about the basic terms of rainwear and its technologies can help you navigate easily and choose the ideal waterproof jacket that fits your needs and budget. This quick guide highlights the top selling and best quality waterproof jackets in the market. Hope it has helped you find the rainwear that suits your needs and budget. Please comment below and let us know if our post was helpful enough. Also, do not forget to share our post on your social media to help your friends and family who are also looking forward to buying a waterproof jacket.